Beat all Topping ingredients except chocolates in chilled medium bowl with electric mixer on high speed until stiff peaks form. Spread evenly on top of cake; garnish each piece with a chocolate. 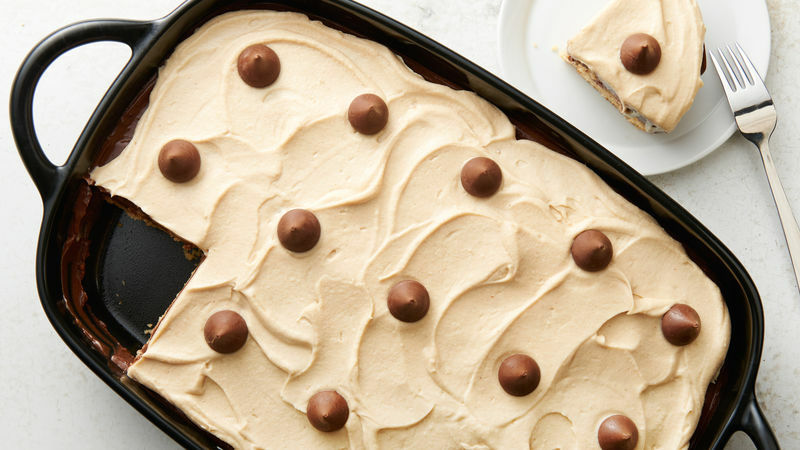 If preferred, mini chocolate chips scattered over the top of the finished poke cake make an excellent garnish, as a replacement for the Hershey's™ Kisses™ milk chocolates.